Fistianados commentary: What could go wrong? This is a continuing series of articles that looks at how the boxing world is adapting to the next technological age of broadcasting. Evan Rutkowski is a former HBO Sports marketing executive and host of the Fistianados Podcast, which looks at the business side of boxing. More networks than ever now feature boxing as part of their sports offering at a high level. While there are many benefits to consumers, each network faces their own set of potential issues in 2019. Some of these issues are compounding in nature and could have a snowball effect that could have major repercussions. Steve Kim wrote a great piece for ESPN.com that explored the network divides and many of the circumstances to be wary of, but this column aspires to explore a darker scenario—what is the worst-case scenario for boxing in 2019? This outcome isn’t likely to happen, but let’s take a look at a potential series of events that could put the sport in a rough place this year. One of the major consequences of having so many more broadcasting entities, all of whom have different goals in mind, is that we’re in the most dynamic market for fighter pay in decades. It has changed dramatically in the last year and is still evolving. Taken as a whole, this is great for fighters, especially those with belts or who hold significant rankings in major weight classes. For networks though, the margin for error has gotten smaller, and they must balance several competing interests. Top Rank’s deal with ESPN is a great example, because they are having to figure out how to appropriately pay fighters to fight on linear ESPN where the goal is to sell ads against live boxing, as well as on ESPN+ which is a subscription service trying to attract subscribers, reduce subscriber churn, and sell ads (there are ads on ESPN+ for those who don’t subscribe). 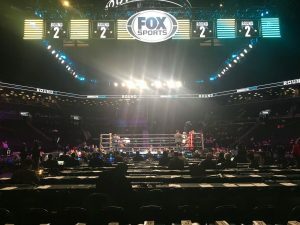 PBC finds themselves in a similar situation with their network deals, as Showtime’s goals are to maintain a subscriber base that has come to depend on regular, high-level boxing shows without commercials as part of a monthly service, and then Fox, which is only selling ads against the live sport. DAZN is in pure subscriber acquisition mode and counting on disruption to the pay-per-view market, so they are paying premium purses to make the biggest fights out there. Of course, the PPV system still exists with Showtime, Fox, and ESPN all putting on events in the first half of 2019. All of these options create a market for fighter pay that is still figuring out what each option is truly worth, which directly contrasts the pay-cable model that was the standard even two years ago. The PPV market is ground zero for how fighter pay is affecting the TV ecosphere because there have been consistent solid paydays available to fighters on linear TV and streaming services, but no market correction for the bigger fights typically headed to PPV. One of the biggest questions the PPV market faces is whether or not new stars can emerge in direct competition with DAZN’s business model of putting the top commercial draw in 2018, Canelo Alvarez, onto a streaming service directly competing with the PPV system. Right now, many of the bigger fights have still gone to PPV, but will there be a market correction given the amount of lower level, potentially risky PPV fights? If there is not one, then a whirlwind of other potential negative outcomes could create a spiraling effect and put televised boxing in a terrible place by the end of 2019. On each individual platform, there are some identifiable pathways to really bad outcomes. 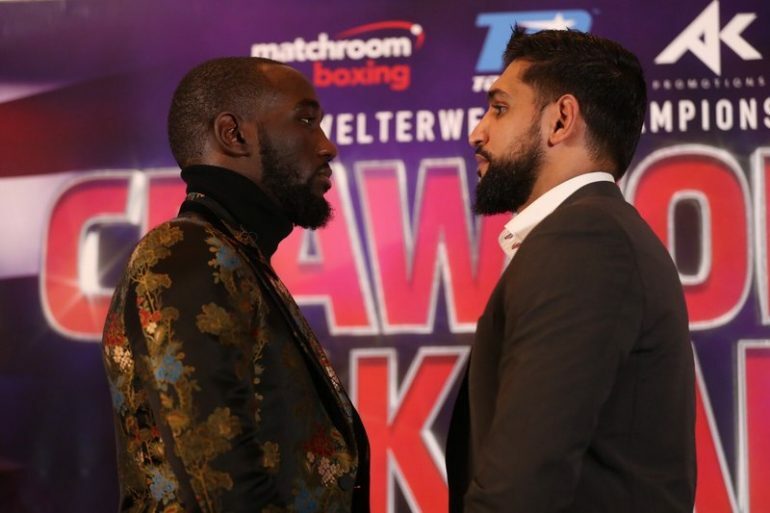 Top Rank may have the most stable deal out there, but there are a few hurdles they face in 2019. The need to develop other major TV attractions besides Terence Crawford and Vasiliy Lomachenko, the only fighters who have consistently drawn really big audiences on ESPN. They also must carefully balance their product between ESPN and ESPN+ due to the competing metrics for success that both platforms have. Like many other promoters with exclusive TV deals in the past, they are capable of abusing the system, and the consequences would be ESPN failing to give them the scheduling benefits they’ve seen with their deal so far. DAZN might have the most obvious risks for 2019—while they have signed the most commercially successful fighter in the sport in Alvarez, they have yet to put on a major PPV-level fight that would approach the traditional one million buy mark. They also have had inconsistent quality with their fight cards. 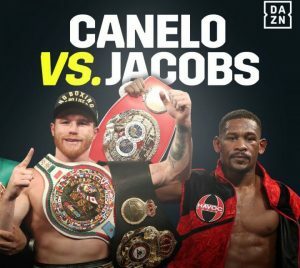 While we’re starting to see signs that bigger fights can be made and more commercial fighters are signing on, the buildup to Canelo’s May 4 fight against Daniel Jacobs and the following months will be critical. If DAZN doesn’t carefully schedule other major events in the buildup and aftermath of that event, they risk serious subscriber churn following what should be their largest signup period. PBC’s two television outlets, Fox and Showtime, will be forced to work together and share fighters in an unprecedented arrangement in the sport of boxing. Failure to work together in constructive ways carries huge risk for both platforms. Showtime put on 11 fight cards in the U.S. and three foreign cards that had one fight on them in 2018. Those 11 U.S.-based cards were some of the deepest, high-level cards consumers have seen on pay cable in years. Is it a bridge too far to expect Showtime to maintain this level of quality while also expecting PBC to provide Fox with 10 shows, FS1 with solid main events, and potentially several Fox and Showtime PPV cards? It’s very realistic to imagine lower quality or uncompetitive fights on both platforms as even the deep PBC roster gets spread thin. The real danger in all of this exists in how these problems affect each other in potentially compounding ways. If DAZN fails to attract enough subscribers to justify boxing being a pillar of their programming, that affects the PPV market in major ways for consumers, as it likely encourages more-risky PPVs where the expected buy rates would be under 300,000. Given that DAZN has reset the market for fighter pay, if it or ESPN+ fails (or begin shifting their budgets toward other sports besides boxing), it could start a chain reaction that encourages a lot of lower-level PPVs. And those lover-level PPVs could critically damage the regular boxing programming on Showtime, Fox, and ESPN. More lower-level PPVs not only takes prime inventory off of linear television, it reduces depth on the other platforms in order to fill out PPV undercards, which are typically not known for putting high-profile fighters in tough fights. Case in point, in 2018 the U.K. averaged about a PPV a month and it seriously affected the quality of boxing on linear TV there. Given that boxing has proved to be commercially successful so far for ESPN and is showing promising early signs on Fox, a dip in quality could prove detrimental for the future of the sport in the ad-supported model. If all of this happens in conjunction with each other, it’s easy to see how one problem can have a snowball effect and quickly become something more resembling an avalanche. To reiterate, this is not a prediction or by any means a hope. Please instead view it as a companion written piece to episode 27 of the Fistianados podcast, which explored the long-term ramifications of how everything could go wrong.